Fantastic family time! Oh, love the red scrappiness and perfect choice of the binding - sweet! Awww looks everyone made new friends. It's always good when family can get together. Love, love, love the red quilts! Your quilts always look so comfy and lovely. 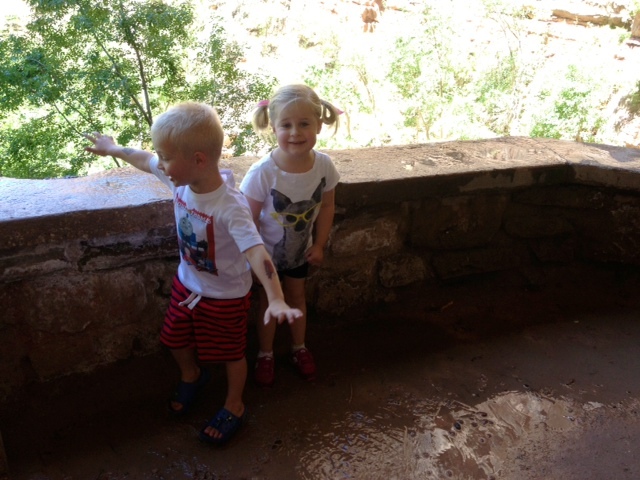 I love all those red mountains in Utah...looks like it was fun for those little cuties! That quilt is beautiful and obviously took a lot of work. Great job! Those girls just keep getting prettier and prettier. And that RED quilt - I love it!!! It is perfect in every way. Great job, Nanette, as always. How fun to be with family. Your family is really amazing, too. And I LOVE your red herringbone quilt! I really like the back on Red. It looks great. And those youngins just keep getting cuter and cuter! Glad you got to spend some time with yuor fanily. 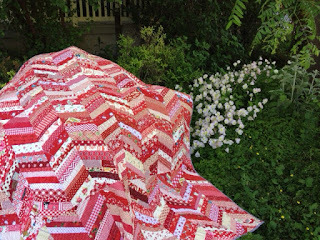 Just love your herringbone quilt! I've never made one, someday, someday. The red is particularly lovely! So nice that you all had a really lovely time and the kids made new friends! Gorgeous mountain views! Your herringbone quilt is absolutely beautiful! Love the scrappy backing! Sounds like you had wonderful family time. It is always so nice to get together with family. 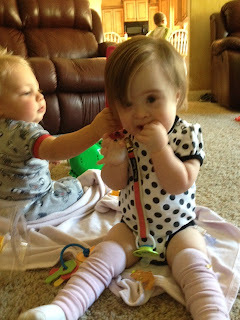 The cousins are just so cute. Hope you got lots of hugs? Your quilt turned out fab. I love it all the to the binding. 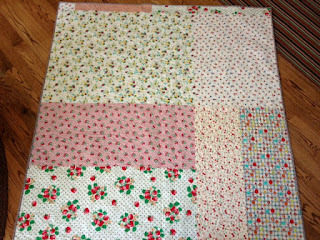 I love the idea of a pieced back, I am just to chicken to try it. Hope you are having a great week back. These are wonderful pictures! Family time and vacation time. 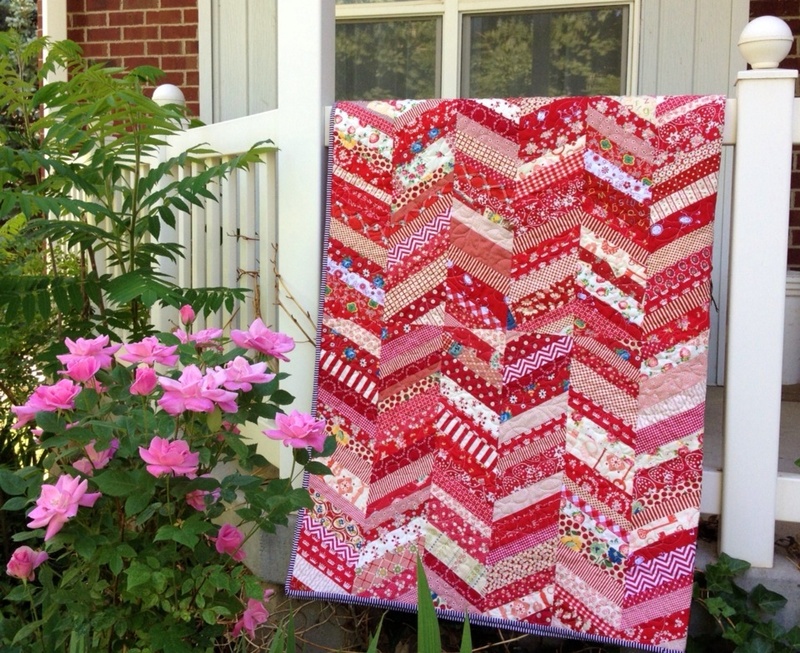 Love, love, love your scrappy red quilt. Scrap quilts, front and back, speak to me, too. Perfect binding. I love the quilt! It's so cheery and homey feeling all at the same time! Smart piecing the backing. Isn't it nice to see the next generation together, forming their own memories and bonds? Sounds like a wonderful trip in some beautiful country. 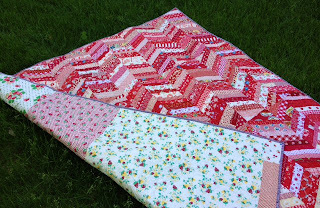 What a great idea for the binding on your herringbone quilt, reminded me I have one that needs finishing. I also like the idea of a pieced back, but usually want one 'right now' and don't take the time to put one together. Thanks for the all the inspiration! I love your scrappy red and white quilt, so fun! It looks like you had a good time visiting your family, the scenery is breathtaking! Lizzie sure is growing up! Love your herringbone quilt. I think doing a neutral/low contrast quilt is trending right now. Enjoy playing with your neutral scraps. There is nothing like family! the girls are just darling. and your quilt, I am in love!! How lucky your sister is to live near that beautiful place! Love your herringbone quilt and the binding is excellent. I'm inspired to order some of that fabric for my next binding. 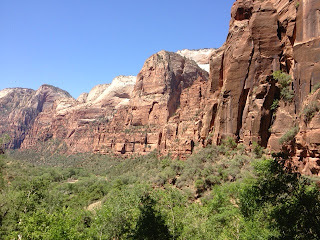 It looks like you had a marvelous vacation, I do love the red rock. 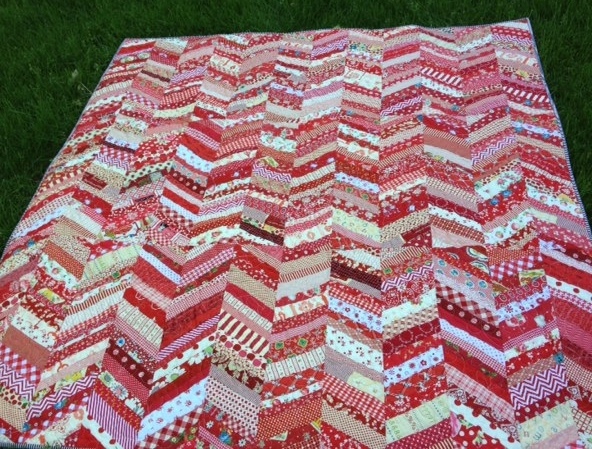 I'm also in LOVE with your red herringbone quilt, it's gorgeous. 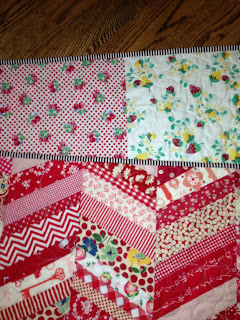 I love red & white quilts, so pretty. You are so lucky to have family so close and time to spend with them. Looking forward to having our kids out here this weekend. Pics of the kids are so cute. 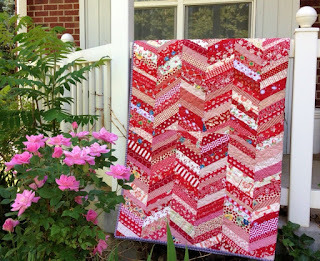 Love your red and white quilt! !